Jeff Barnes serves as Broker Associate for the Mobile office of Stirling Properties. 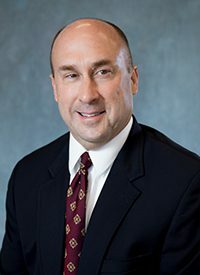 His responsibilities include general brokerage activities, including sales and leasing of commercial properties in Mobile and Baldwin counties. His primary areas of focus consist of landlord representation and investment sales. Notable Baldwin County mixed-use developments represented by Mr. Barnes include Spanish Fort Town Center and The Wharf in Orange Beach. Prior to joining Stirling Properties in January 2014, Jeff was affiliated with Coldwell Banker Commercial and CFB Real Estate. Before relocating to Baldwin County in 2003, he was an active commercial broker in Birmingham, Alabama, with over 15 years of experience with Colonial Properties Trust and Atlanta-based Carter & Associates. During his 29-year commercial real estate career, Mr. Barnes has represented many institutional owners. Professional affiliations and accomplishments include earning the CCIM designation, serving as President of the Alabama Chapter of NAIOP, serving as President of the Gulf Coast District of the Alabama Chapter of CCIM, Board Member of Baldwin County Association of Realtors, and Trustee of the Alabama Center for Real Estate. Current professional membership affiliations include AL CCIM Chapter, ICSC, Mobile Association of Realtors, Board Member of the newly-formed Catalyst-based Gulf Coast Commercial MLS, and the Baldwin County Commercial Exchange Club. Jeff is also currently serving as a Board Member of the Eastern Shore Chapter of Young Life. Mr. Barnes is a graduate of the University of Alabama, with a Bachelor’s Degree in Business Administration with an emphasis on Finance.